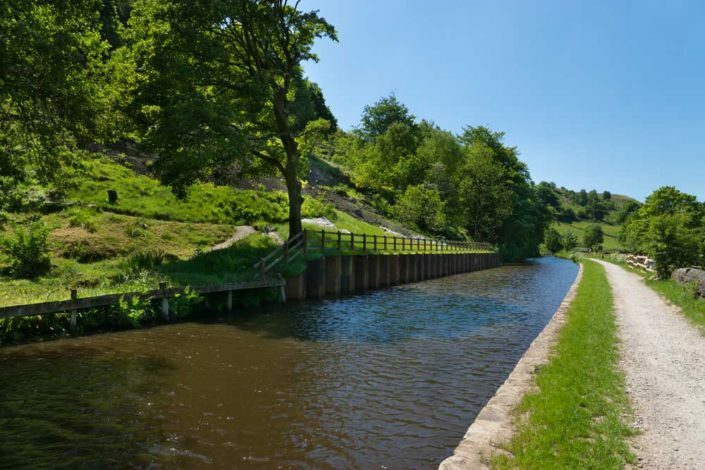 On boxing day 2016 the banks of the Roachdale Canal were breached following torrential rain and flood waters. 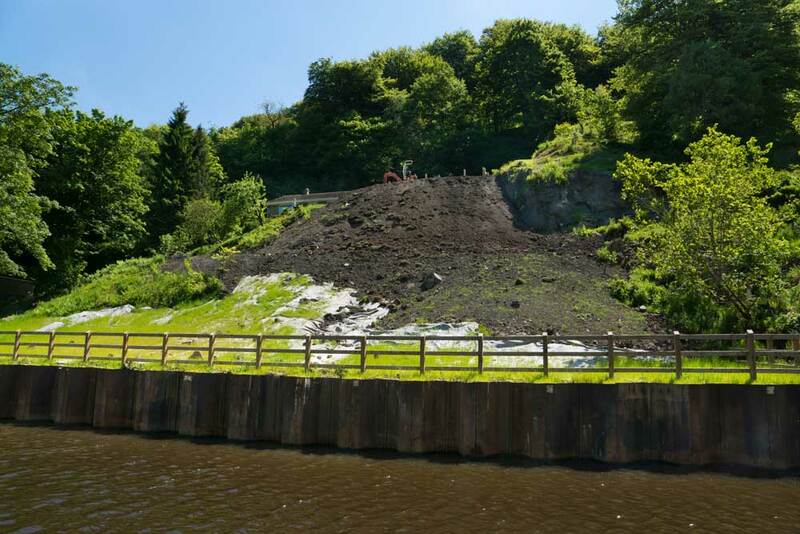 The flooding washed away around 15m of the canal wall letting water discharge into private allotments adjacent to the canal. 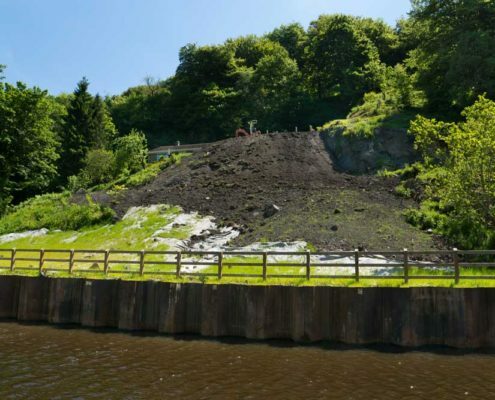 The rain also caused a landslip blocking the canal. 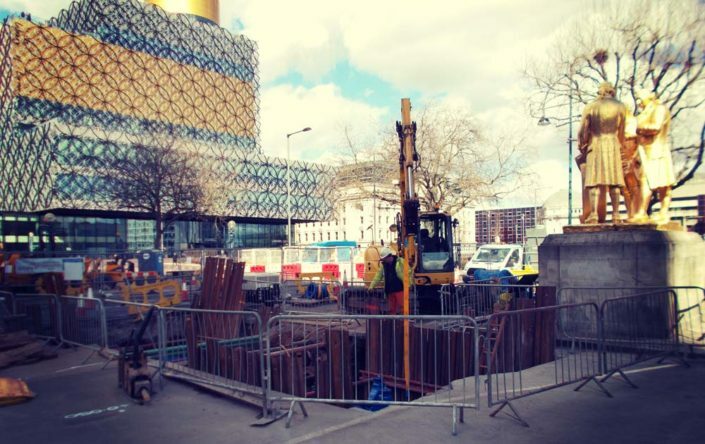 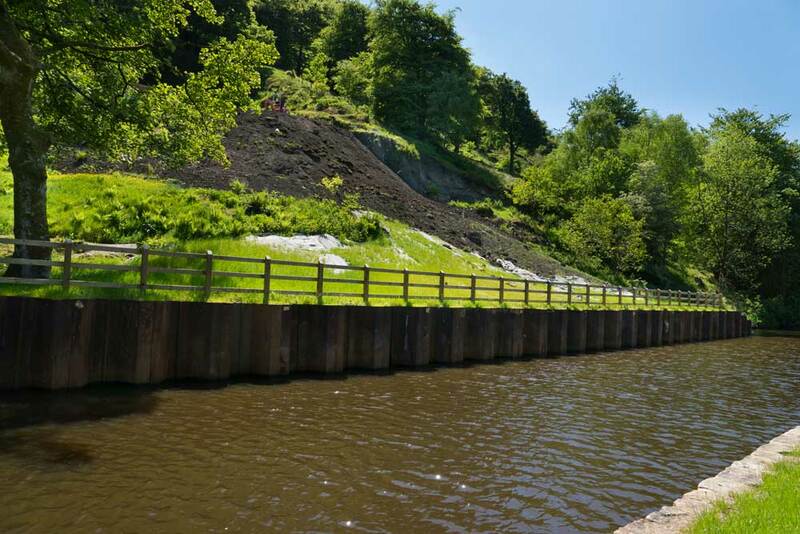 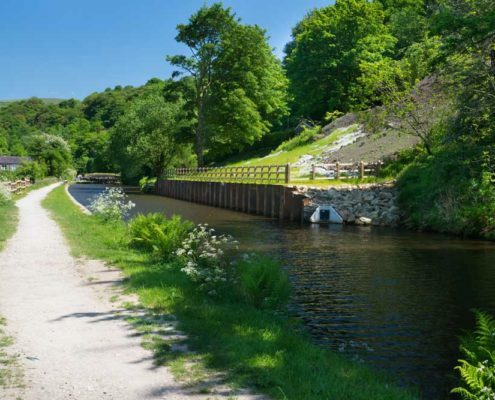 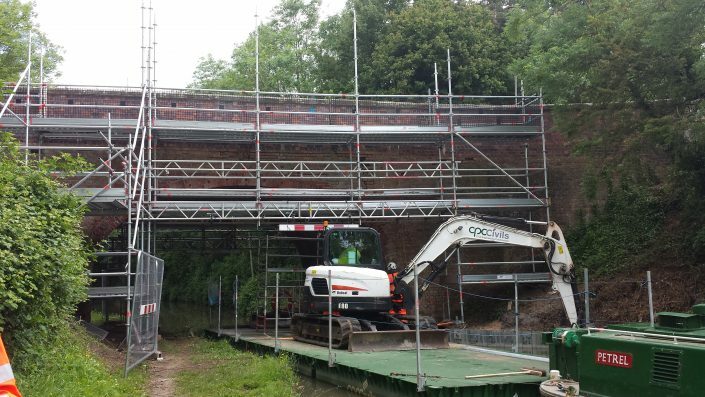 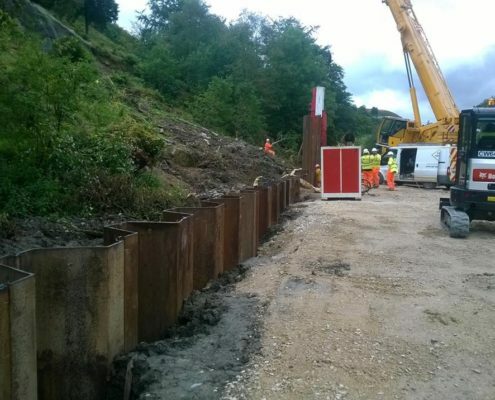 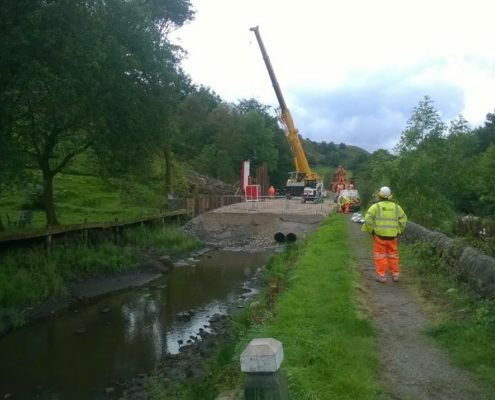 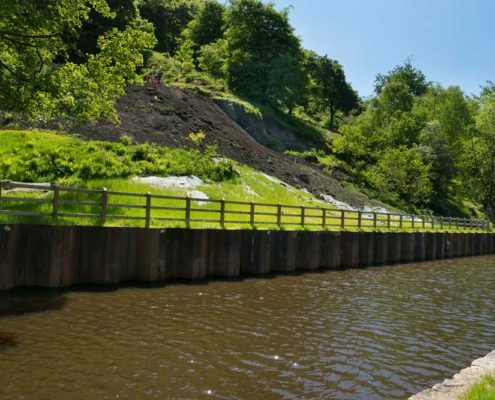 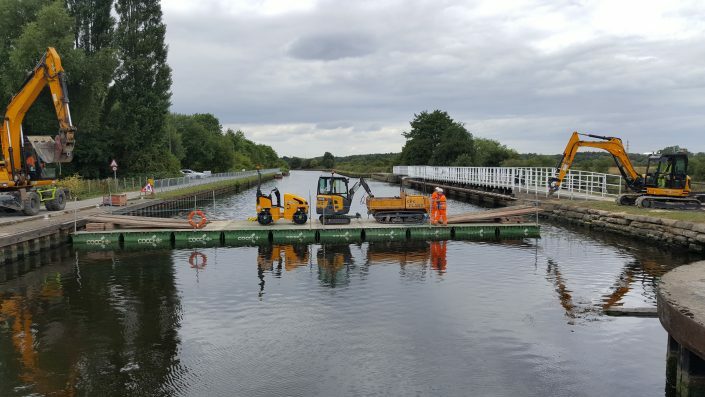 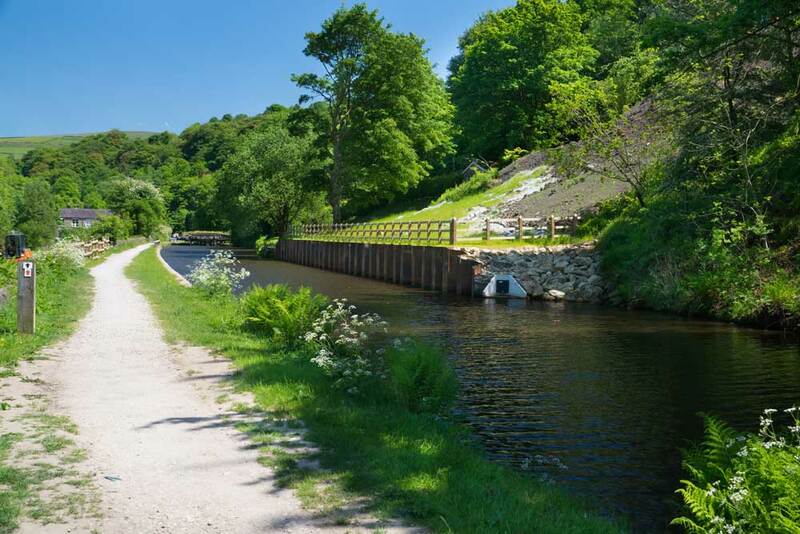 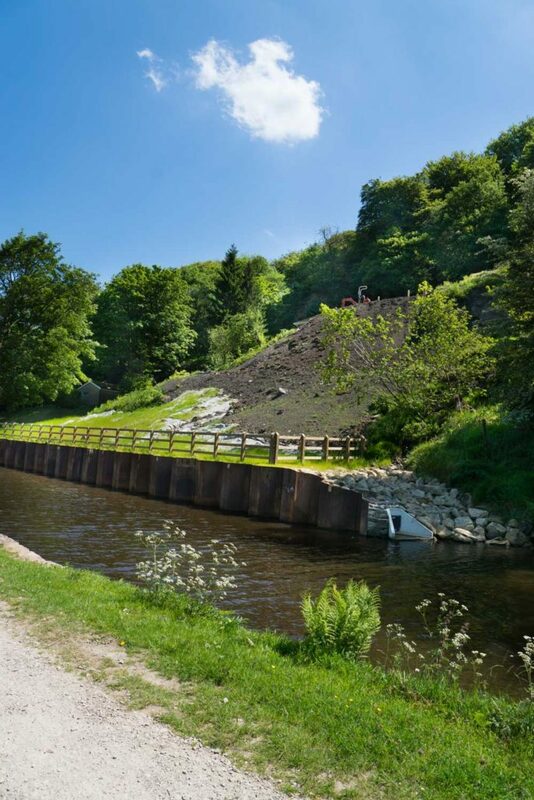 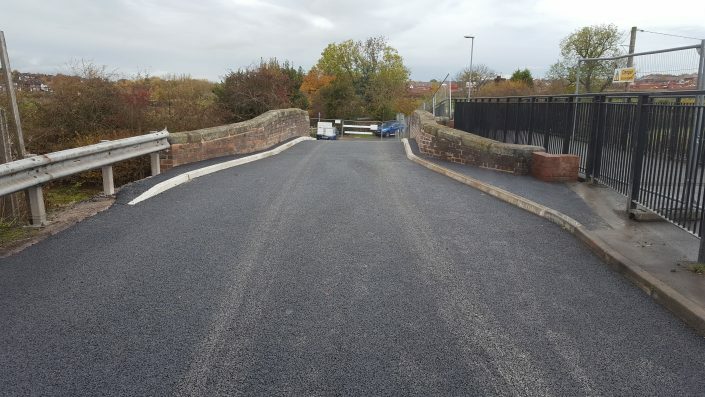 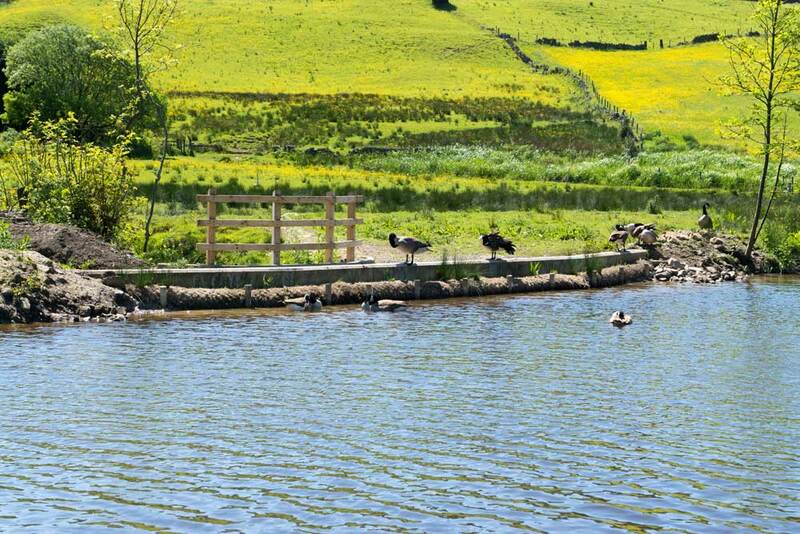 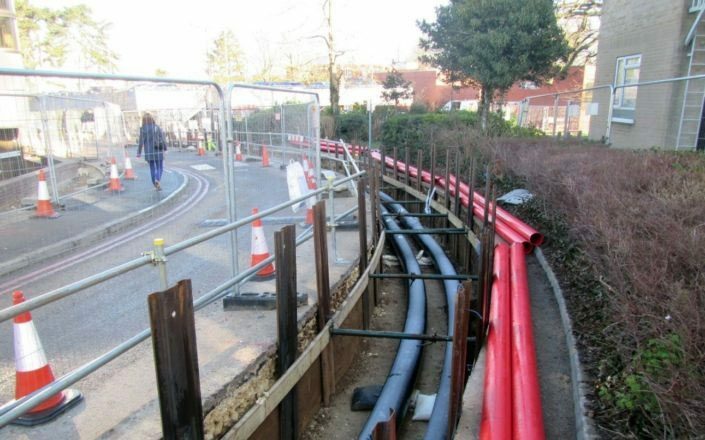 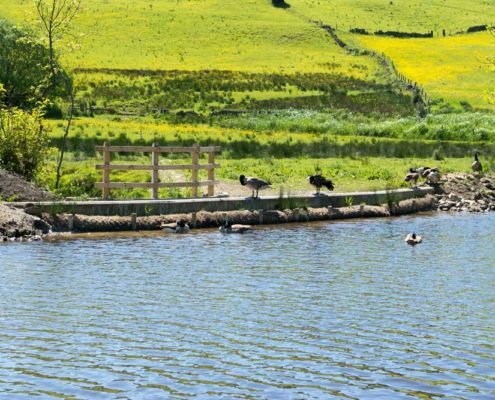 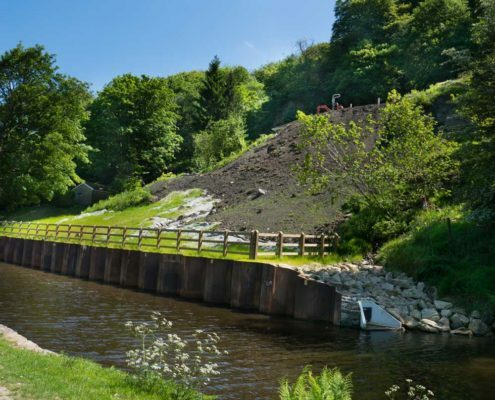 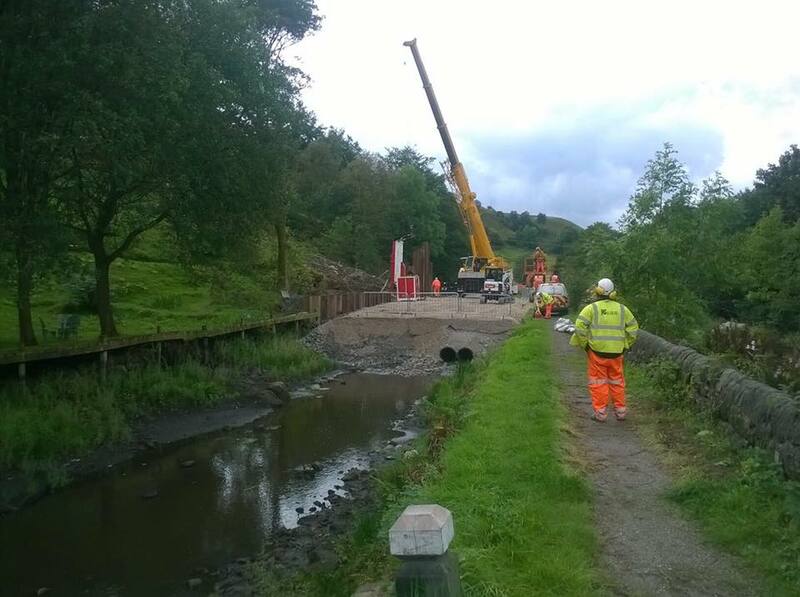 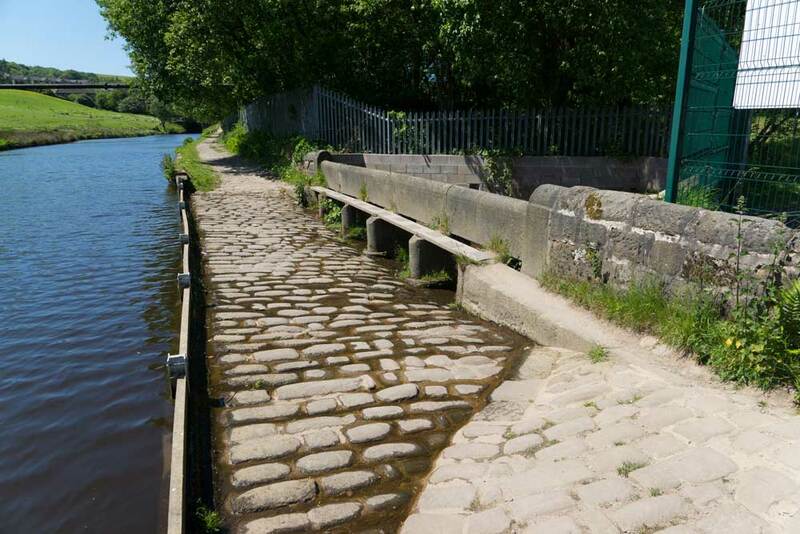 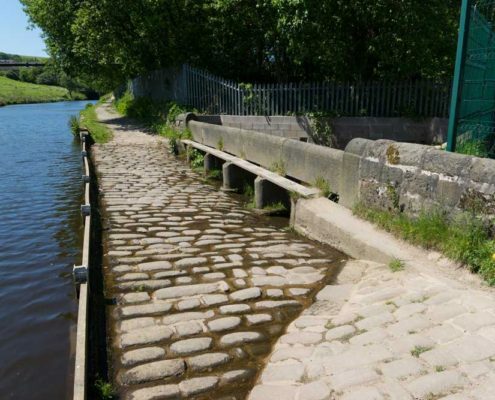 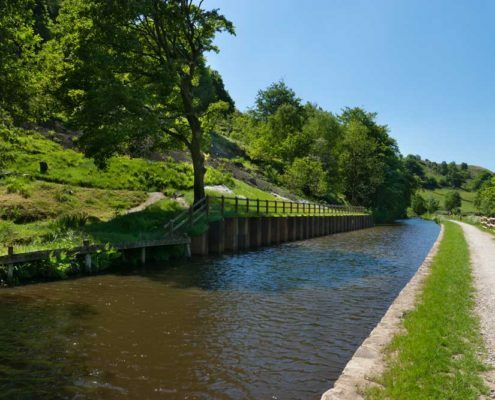 CPC Civils rebuilt the canal wall and reinstated its towpath, and installed a sheet pile wall at the landslip location to enable to canal to be reopened and support the bank from any future movement.